It was also at this church that Duncan’s funeral was held on 26 February 1958 following his death as a result of the Munich Air Disaster. In 1961 two stained glass windows in the church were unveiled by Matt Busby – the Manager of Manchester United – both dedicated to the memory of Duncan. Both windows feature images of Duncan, one in his Manchester United kit and the other in his white England international shirt. The windows also incorporate the coats of arms of Manchester and Munich. 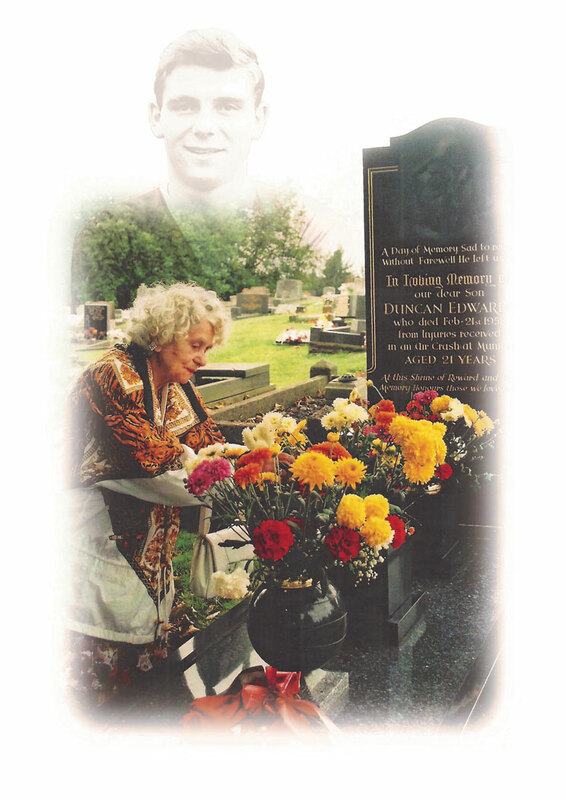 As part of the Duncan Edwards Tribute we will be working closely with the Vicar of St Francis Church – The Reverend Joanna Anderson – and her parishioners on the Priory and Wrens Nest Estates. We will be creating an interaction with those members of the local community who remember Duncan and his family or have photographs or memorabilia linking him with his Black Country Heritage. The outcome of this social and cultural interchange will be an unveiling on a site in the annex of the Church of a ‘Wall of Remembrance’ dedicated to the life and career of Duncan Edwards. Using photographs and images from our collection – but selected by the members of St Francis Church – we will trace the life of Duncan Edwards from his childhood on the Priory Estate, his schoolboy football career, his time at Manchester United, his achievements as an England International and finally his tragic death in the aftermath of the Munich Air Disaster. The ‘Wall of Remembrance’ coupled with the stained glass windows will be a key component in the Duncan Edwards Tribute and it will be an important heritage attraction for visitors to Dudley.